Kalo gue jadi presiden (mb, ngayalnya kejauhan, mb), sudah pasti gue akan sangat mixed feelings menjadi pemimpin di era digital/internet ini. Di satu sisi, dengan internet, sudah pasti akan terjadi kegeblekan-kegeblekan macam ini. 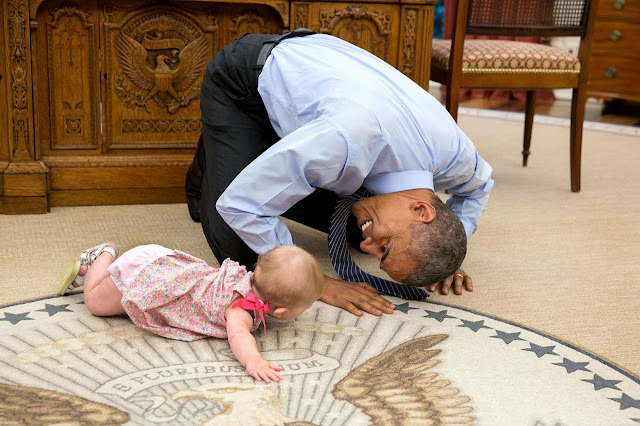 At the President's insistence, Deputy National Security Advisor Ben Rhodes brought his daughter Ella by for a visit. 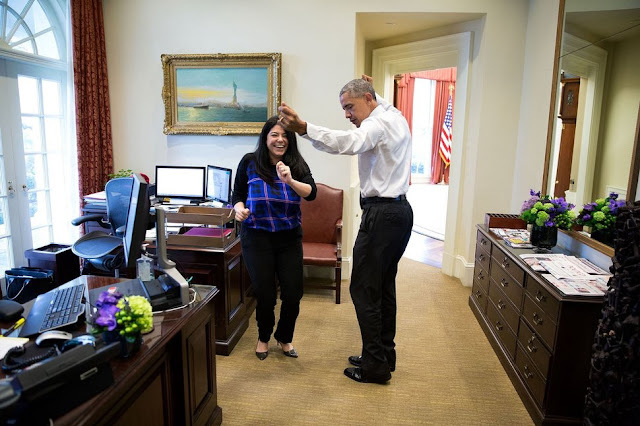 As she was crawling around the Oval Office, the President got down on his hands and knees to look her in the eye, June 4, 2015. 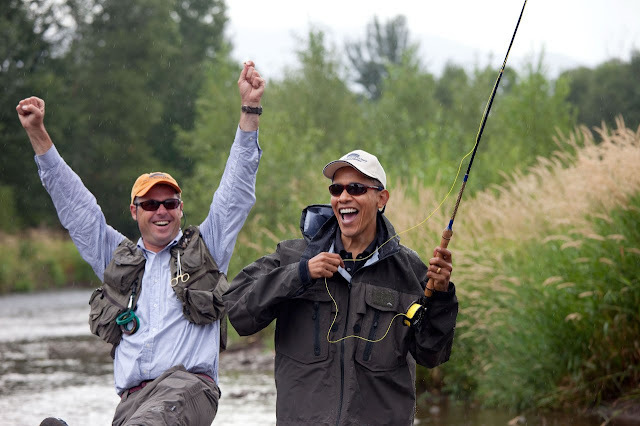 Local fishing guide Dan Vermillion reacts as President Obama hooks a trout on the East Gallatin River near Belgrade, Mont., August 14, 2009. 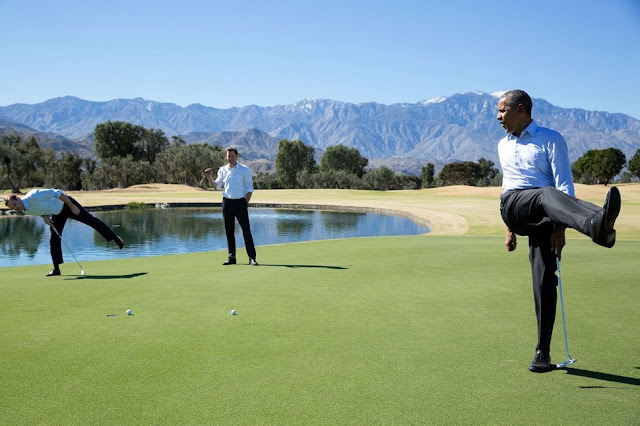 The President hooked about six fish, but did not land any during his first fly-fishing outing. 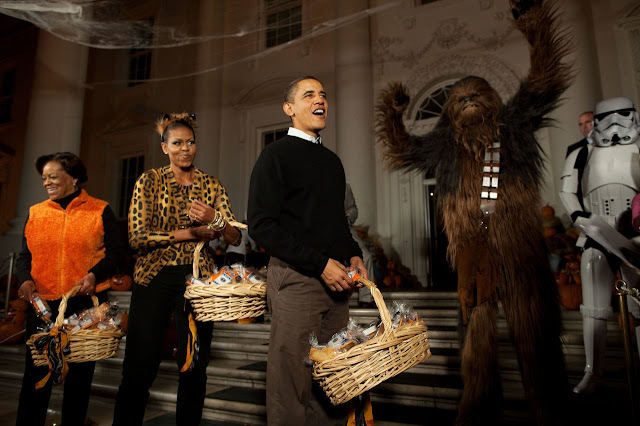 President Obama, First Lady Michelle Obama and Marian Robinson welcome children from Washington, D.C., Maryland and Virginia schools for Halloween festivities at the North Portico of the White House, Oct. 31, 2009. 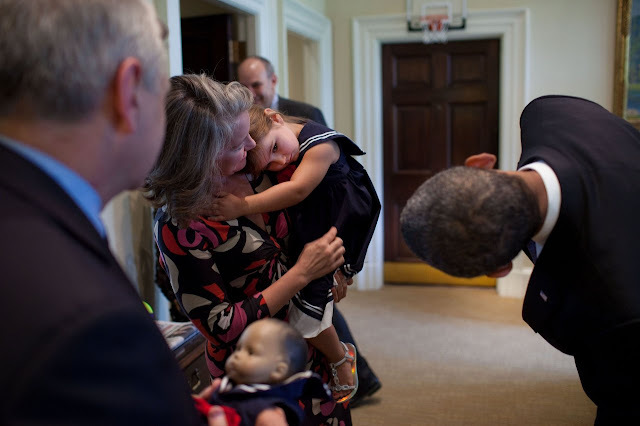 Sen. Jack Reed brings his family by for an Oval Office visit, July 22, 2010. President Barack Obama and First Lady Michelle Obama hold hands as they listen to Rep. John Lewis, D-Ga. during an event to commemorate the 50th Anniversary of Bloody Sunday and the Selma to Montgomery civil rights marches, at the Edmund Pettus Bridge in Selma, Ala., March 7, 2015. 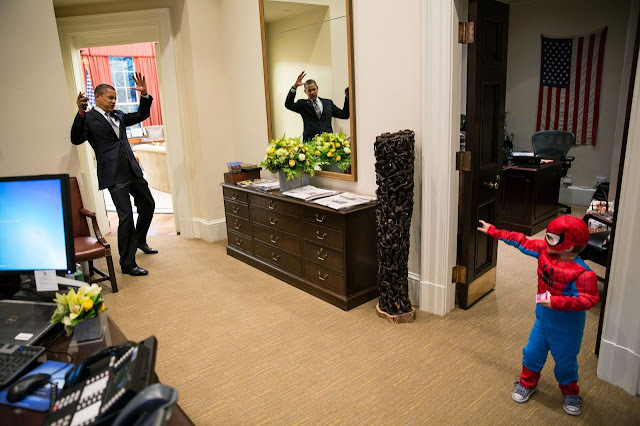 U.S. President Barack Obama pretends to be caught in Spider-Man's web as he greets Nicholas Tamarin, 3, just outside the Oval Office, October 2012. 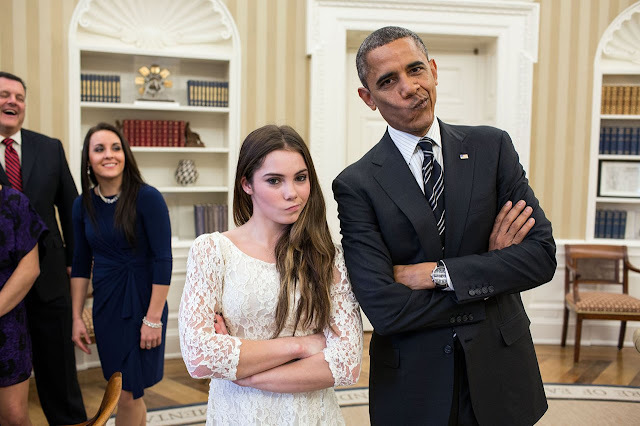 The President and Olympian McKayla Maroney recreate her 'not impressed' photograph, Nov. 15, 2012. 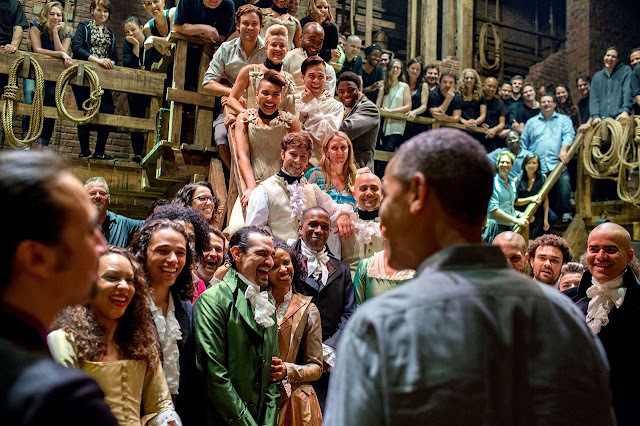 The President greets the cast and crew of 'Hamilton' after seeing the play with his daughters at the Richard Rodgers Theatre in New York City, July 18, 2015. Kenapa harus gemes banget, sih, berdua? PS. 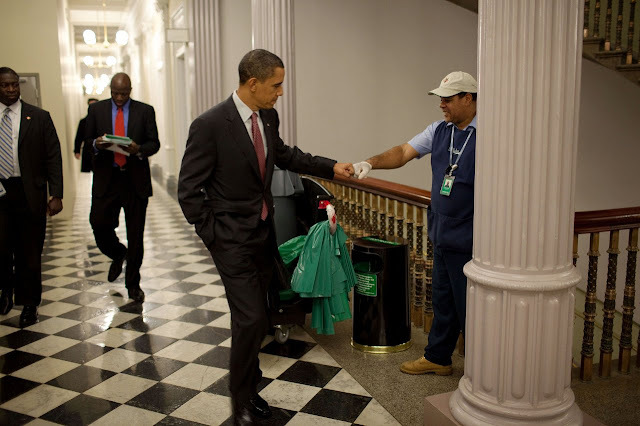 Pete Souza, you are amazing. Kaesang, 2017 harus bisa lebih lemesin lagi, ya.